Volvo’s new monitoring system aims to reduce the impacts of distracted and impaired driving. The technology allows the vehicle to automatically intervene if a driver fails to respond to warnings. As part of a larger conversation, Volvo asks if automakers have an obligation to produce such technology. Volvo is showcasing new technology that may prevent fatal accidents involving impairment, speeding, and distraction. The automaker is doubling down on their vision of a future with zero traffic fatalities, saying it’s necessary to address these three main “gaps.” This news follows Volvo’s more recent announcement about limiting the top speed on all their cars to 111 mph starting in 2021. Volvo says they want to start a conversation about whether automakers have the right, or maybe even the obligation to install technology that can change a drivers’ behavior. According to the National Highway Traffic Safety Administration, nearly 30 percent of all traffic fatalities in 2017 involved intoxicated driving. Further data from the National Safety Council determined around 80,000 total roadway deaths occurred in the United States through 2017 and 2018. The latest statistics reflect a slow leveling off, with the number of fatalities in the first six months of 2018 dipping slightly. (Less than 0.5 percent from six-month 2017 estimates). However, experts believe it may only be a “stabilization” of the largest two-year increase in over 50 years; between 2014 and 2016. Volvo’s new camera monitoring system aims to reduce the impacts of distracted and impaired driving. Photo: Volvo Car Group. 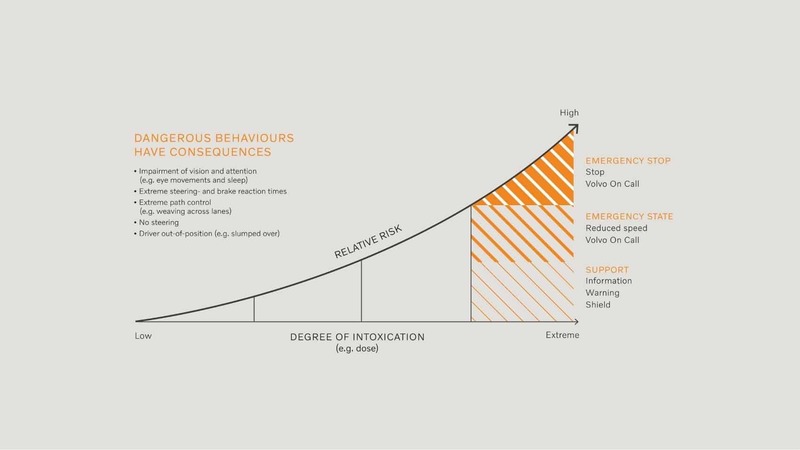 Volvo believes fatal accidents involving intoxication and distraction can be addressed via cameras and sensors that monitor the driver. If an impaired driver does not respond to warning signals, and is risking an accident, the vehicle can automatically intervene. Intervention measures include automatically limiting the car’s speed, alerting the Volvo on Call service and, as a final course of action, actively slowing down and safely parking the car. Related: Distracted driving kills and it’s a worldwide problem. Volvo’s driver monitoring system looks for certain telltale signs involving distracted and intoxicated driving. For example, a lack of steering inputs for extended periods of time, extreme weaving across lanes, and slow reaction times. The system even detects if a driver closes or takes their eyes off the road for too long. 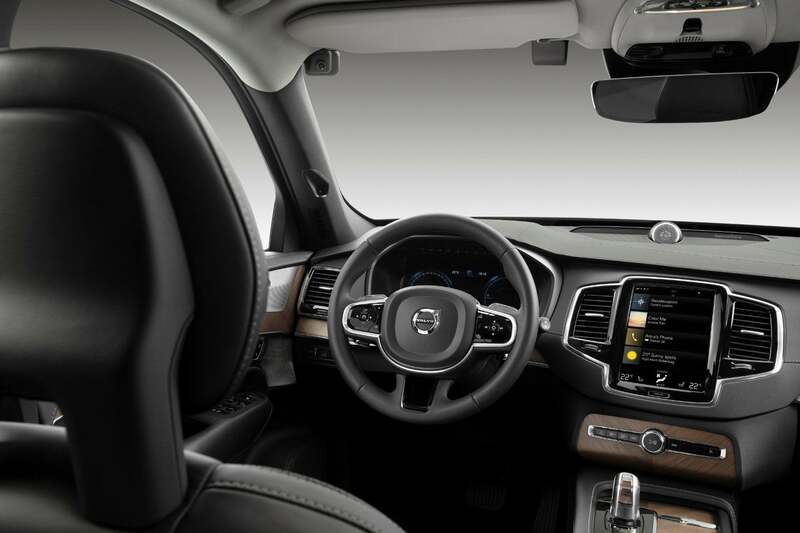 Volvo’s technology could intervene if say a driver is texting behind the wheel. According to NHTSA, distracted driving accounted for 3,450 deaths in 2016. The Traffic Safety Facts Research Note on Distracted Driving, also conducted by NHTSA, found drivers under the age of 20 had the highest proportion of distraction-related fatal crashes in 2015. Volvo plans to introduce the cameras starting in 2020. The camera’s position, location, and number thereof is still being determined. In the meantime, experts say driving defensively is the best way to stay safe on the road. Always buckle up, ignore text messages, obey all posted signs, and designate a sober driver. “The sad part is that 100 percent of crashes related to distracted and intoxicated driving are preventable,” Flegel said. Photos & Source: Volvo Car Group, NHTSA, NSC. 1 Comment on "New Volvo Tech Could Intervene During Distracted & Intoxicated Driving"
Sound’s interesting. Well, price doesn’t matter because safety of driver is most important. I believe that technology would prevent the possible accident at the middle of the road.